Gayle began her legal career as a Research Lawyer at a national Bay Street law firm, and spent nine years at that firm as both a research lawyer and a knowledge management lawyer in the Litigation Department. 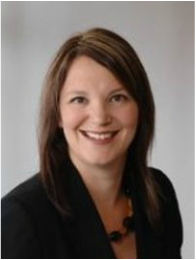 Gayle also developed a practice as a corporate/commercial litigator and has experience with child protection litigation. As a research lawyer, Gayle developed a broad expertise in all areas of corporate and commercial law. Gayle has worked on complex corporate transactions, as well as significant litigation matters, and she has expertise in developing both legal and practical solutions to complex problems. Gayle has extensive legal research and writing experience, and has written facta for all levels of court in Ontario, as well as the Supreme Court of Canada and courts in Alberta and Quebec. Gayle has a demonstrated ability to identify issues and develop solid legal arguments.